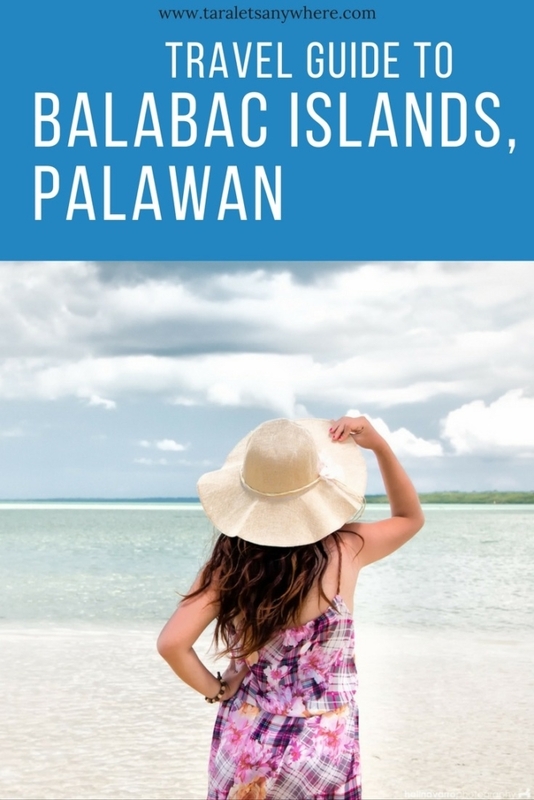 Yes, a Balabac Palawan itinerary and travel guide! Last 2015, Hali and I were exchanging stories with a 60-year-old fellow traveler, who then told us we should visit Balabac. For the uninitiated, Balabac group of islands is a relatively unknown summer haven for backpackers seeking unspoilt beaches and preserved local culture. It is located at the southernmost tip of Palawan in the Philippines and is just a few hours away from Sabbah, Malaysia. 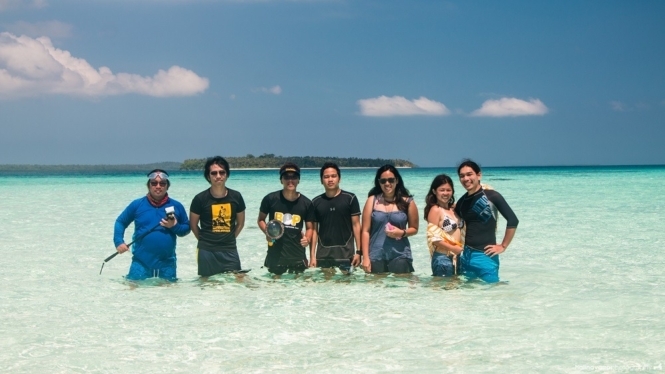 It was a bit challenging to arrange a DIY vacation to Balabac. At the time of our trip, there was very little material in the Internet especially with regards to island hopping prices and contact details. This is a complete travel guide to Balabac, Philippines. So much has changed since our last visit. We’ve updated this post with the latest information for the current year (2018), including info on packaged tours to Balabac so you’ll have a hassle-free travel. Enjoy! All in all, it will take 2 days from Puerto Princesa City to commute to Balabac. Going back from Balabac to Puerto Princesa will take at least 1 day. In San Jose Terminal in Puerto Princesa, you can ride either a bus or van going to Rio Tuba. I’m not aware if there are fixed schedules for the public vehicles, but when we got there the last bus was to leave at 7PM and the van, at 6PM. Commuting via van is faster since there are lesser stopovers. We opted for the van, but we still waited for other passengers to fill in the remaining seats. It’s safe to be at the terminal at around 5-6PM to make sure you won’t miss a ride to Rio Tuba. Normally, there is only one schedule for the boat via Rio Tuba-Balabac route. A boatman told us they make a second trip depending on the number of passengers, but I get the impression that this rarely happens. The schedule of the boat changes; ask the front desk at the White Heaven Lodging (or other accommodations if you’ve found one) about the boat schedule for the next day. The tricycle fare from the lodging to the pier is only P20 per person. The reason we gave P50 each is we asked our drivers to make a stopover for breakfast and wait for us. We were led to a large eatery called GB that serves delicious beef stew with rice noodles (which is a must try, take my word for it). I just don’t want you guys giving out P50 per person when the pier isn’t really that far. Based on blogs and accounts of fellow travelers, the boat enroute to Balabac usually leaves at around 12 noon, but in our case, the boatmen started loading passengers at 9AM and then left immediately when all the seats are taken. The passenger boat makes a few stops. You’re about an hour away from mainland Balabac after you pass by Bancalan Port. The port in Balabac looks less amazing, but hey, you won’t really go there to hang out in ports, right. Similarly, there is also one schedule for the boat leaving Balabac to Rio Tuba, at 6AM in the morning. The boat is either docked in the unloading pier or VCI, depending on the sea level. 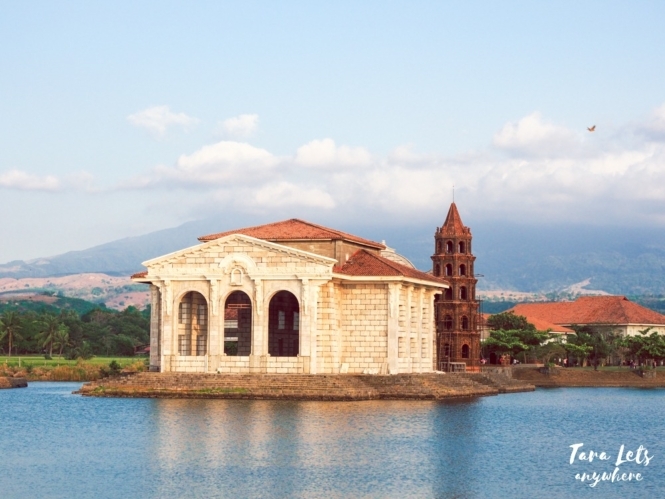 Depending on your itinerary, you can also opt to travel from Puerto Princesa to Buliluyan Port instead of Rio Tuba. Travel time is 4 hours. This port is closer to some islands in Balabac, including Patunggong Island and Tangkahan Island. I would like to credit a good acquaintance, Johnry, for sharing this Balabac itinerary to us along with a detailed list of expenses. If your return flight from Puerto Princesa is scheduled at 7PM onwards, you can make your itinerary as short as 5 days. However, I recommend extending your trip to 6 days and staying for at least 3 days in Balabac to fully explore this southern summer paradise in Palawan. The most recommended islands to see are: Camiaran Island, Candaraman Island, Punta Sebaring, Mansalangan sandbar and Onuk Island/Onok Island. 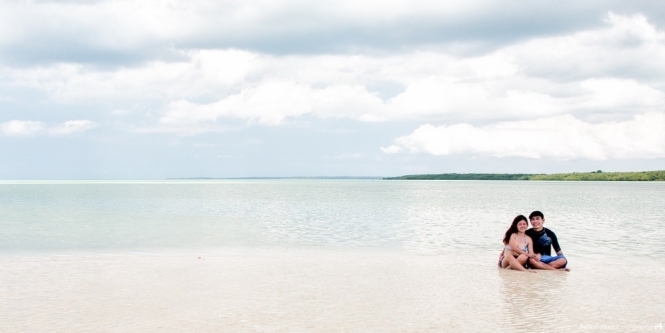 If you want to read about the islands we visited, see our island hopping guide to Balabac. Previously, you need to arrange your visit to Onuk Island separately and ask permission directly from the owner. Onuk Island can now be visited as part of island hopping packages (update as of June 2018). Boat operators now offer packages (including transfer from Rio Tuba, accommodation, island hopping and meals), so make sure to ask about the rates given your group size. For updated rates or specific queries, contact your tour guides directly. We try to update this guide as often as possible, but it’s best for you to confirm for yourself. Aside from the cost of the whole tour package, here are other miscellaneous expenses you need to know about. Some of these may already be included in your package, such as boat ride from the mainland to Balabac. If you’ll be staying overnight in Puerto Princesa prior to your Balabac trip, you can check out the lowest prices of accommodations in PPS here. There are more available accommodations in Balabac than listed here and other boat operators as well. Update as of January 2018: Ate Bebeth is no longer part of the tourism office, and I’ve removed her contact detail above. We’d taken this trip last 2016. During that time, there were still limited packaged tours (there were only 2 operators at that time) so we did it the traditional DIY style. Hali and I went here along with four travel companions, and we spent about P5000-6000 each for a 6-day trip. We stayed at JD lodging for the duration of our trip. The rooms are surprisingly spacious. The restrooms and shower stalls are for common sharing but clean and regularly maintained. The electricity in the whole Balabac group of islands is up until midnight only, but you can request for the generator to be turned on during the night in JD Lodging for P300 per night (all rooms covered). During our boat ride to Balabac, I chatted with Kuya Fidel whom I found out also offers island hopping tour for a cheaper rate. However, since Kuya Boboy has been my contact ever since preparing the itinerary and I’ve already reserved and confirmed the date for our island hopping with him, we pushed with the latter’s services. Kuya Boboy and Onyok were very helpful, cooked our meals (mostly fresh seafood) when we were island hopping and chatted with us on our night drinking sessions. Their sister, Ate Lorna, was also a great help. She accompanied us to getting a permit for our supposed visit to Onuk Island and helped prepare our packed lunch for island hopping the next day. If you see her, ask her to show you a cheap eatery where you can get delicious rice meals. We were suki at this eatery, but the cook merely laughed when we told her we’d recommend her place in our blog. If you happen to find this eatery, don’t forget to request a tauban dish (a type of large squid common in the area). I was really happy with the way our plan turned out. However, I would like to just use this opportunity to talk about environment consciousness and objective travel blogging. When we were here in 2016, we noticed that Balabac has a garbage problem, particularly when we were when doing a short habal-habal tour in mainland Balabac and when we visited Camiaran and Canabungan Islands. There is garbage trash in the shores. 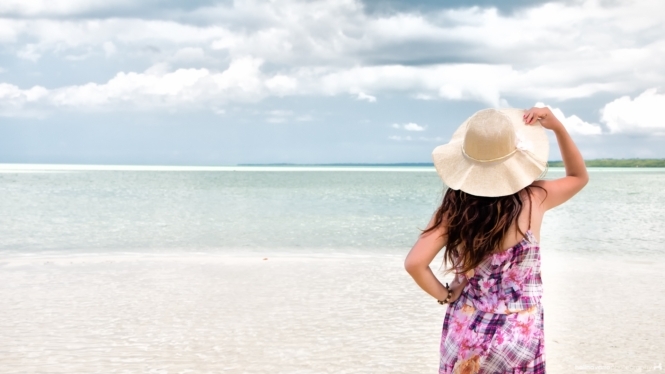 Maybe it’s because Balabac isn’t an official tourist destination yet (but is that an excuse?) and/or most islands are home to residential communities. When we were waiting idly for the sunset in Canabungan Island, my good friend Kit and I talked about how this was never mentioned in blogs. Either this is a recent issue (highly doubtful) or the bloggers simply chose to exclude this in the narrative. While we all aim to highlight the best features of a location, it’s still misleading to exclude important details that can affect everyone else’s experience. Local blogs are especially guilty of this: posing about the good and conveniently ignoring the bad, for readership. I would like to emphasize that blogging is different from simple sharing in social media because this medium is open to public. Hopefully, as the local tourism in the municipality grows, there will be more effort to clean-up the potential tourist islands in Balabac. I’ve added this section as an update. Ever since posting this Balabac Palawan itinerary and other features, we’ve been drowning in inquiries, and though the attention is flattering, sadly I can’t keep up with all the messages. 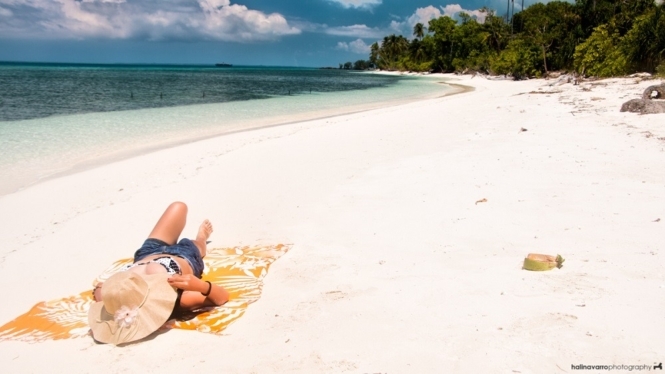 When is the best time to go to Balabac? As far as I know, summer is the best time to visit Balabac. Anj of Kilometer Zero PH clarifies that ber-months are still good, but during the amihan season (from December to February) the waves can get particularly rough. For those asking if it’s okay to visit on a specific week on a specific month on a specific year, please refer to news on weather updates instead. 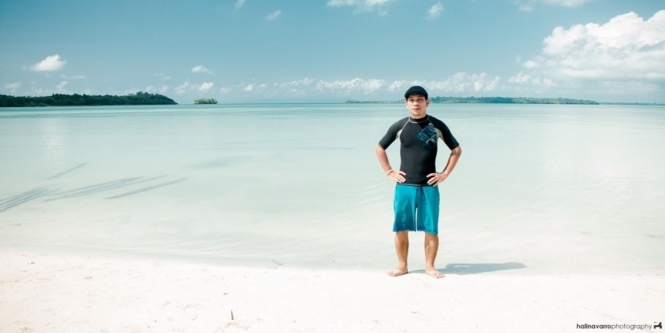 Is it safe for foreigners to visit Balabac? Now this is a tricky question to answer. I don’t want to answer a simplified yes and give false confidence or a no and completely scare off other people. I haven’t actually thought about this until after I received an email from a reader asking about security issues in Balabac. This is from our experience: When we were there, we didn’t feel any tension or presence of threat. We also saw foreign travelers in the island. In fact, I had the impression that whereas local tourists are still oblivious to the existence of Balabac, it is already known among foreign backpackers, at least at the time of our visit. After receiving the said email, I researched and found out that there are indeed warnings about visiting this location and, in general, in the southern parts of Palawan due to the presence of rebel groups. If you ask me, I’m going to say, yes, it’s safe, but I do not have the official say on this. For safety precautions, take heed of travel warnings, particularly for foreign tourists. For other safety concerns, please communicate with Balabac’s tourism office. Balabac isn’t the only nice destination in Palawan, it’s just the most remote and possibly the only left that isn’t commercialized yet. There are other established tourist locations you can visit. Puerto Princesa offers its own island hopping and scuba diving adventures, not to mention the world-renown Puerto Princesa Underground River. El Nido and Coron are world-known vacation spots, famous for limestone karsts and clean lagoons. There are also low-key destinations in Palawan that offer a quiet time off, such as Port Barton. If you want to see other off-the-beaten beaches in the Philippines, we recommend setting off to Calayan Island in Babuyanes in the north. If you want to get an idea of other great attractions, here’s a list of the best places to visit in the Philippines. I would like to thank everybody who’d been helpful in answering my queries and giving me necessary contact details for creating this Balabac travel guide and also to our boat operators Kuya Onyok and Boboy and Ate Lorna. Of course, I’d like to thank my companions as well. I appreciated how everybody observed punctuality. If we agreed on a 6-AM call time the next day, everyone would be up and preparing at 5:30AM. (Respect for other people’s time is sadly not that common even for travelers nowadays.) There was a lot of laugh trips and fun conversations all throughout our vacation. Of course, I’m not going to forget greeting my beloved, Hali, a happy, happy birthday! Half of the fun in traveling is being with you. Here’s a related travel guide to El Nido and a travel guide to Coron. If you liked this post, feel free to share it in Pinterest! Blog is very nice and details. Ilm planning in May 2019. Can i get WhatsApp no. Of some tour operator? Hi! Better contact their mobile numbers directly because whatsapp isn’t used much here in the ph. Seemed like an awesome experience you had. Was this a DIY trip that you planned yourselves or did you purchase a full package with a tour company beforehand? Very helpful post. Hi! Pwede pong pakiconfirm if that is still the number of kuya onyok? I texted the number and inquired about rates. He asked for a downpayment and gave a different name (might be his real name?) But since malaki ung downlayment na hinihingi niya, medyo worried lang ako. Hi Ren, sorry for the late reply. The number was still working a few months back, but we got the updated numbers here: Kuya Onyok – 09123993543, Kuya Boboy – 09073892313. 🙂 We also updated the guide. Hi Katherine! In Balabac or Rio Tuba, is there any available motorcycle that is for rent? If there is, I’d like to know the average price of the rent per day. Thanks! I’m not sure. If you find one I’m guessing it’ll be around P400-500 per day? That’s how much motorcycle rental costs in other places in Palawan. Hi! Anybody here who has contacts for mainland Balabac tours? Thank you in advance! Bout dun sa 1,2 and 3days package tour in onok island? May i know what is included on that packages? I’ve heard about the “niknik” during the night, how bad is it? is OFF Lotion not enough to drive them away? Nope. Even if it works I don’t think you’ll be very comfortable with insects around you. Hi. I am planning to go to Balabac second week of August (9th). Are there any of you here travelling around this time? If I can join your team that would be very nice. Please give the contact number of tourism officer if you have. Hi, we’re planning to go to Balabac on June 13-17. Hope we can find a group of travellers to whom we can join, so it will lessen our tight budget. Hello! We’re going to Balabac this coming June 2018? Anyone who wants to join us during our island hopping from June 8 to 10? Hi! Are you still looking for travel buddies? My two friends and I will be in Palawan from June 6-11 and we’re planning to go to Balabac. Hello! May I know who was your tour guide/boat operator and how was your transaction with him/her? Thanks. Earlier of May po meron? Hi Sunshine. PMed you in FB already. Hi! Is that the final date? Will arrive in Puerto Princesa on May 31. May I still join the group? Tried to search your name in messenger, it matches a lot of profiles po. I’m interested to join the group but I’ll arrive in Puerto Princesa on May 31.
fidel was our boat operator/guide and i highly recommend him. I went down to Rio Tuba in Mid February and was told it is not safe for foreign guests (non-filipino) to go there at the time being. I had a very nice lady at the docks of Rio Tuba calling around to numerous numbers I gave her and some family that she has down there. The same response from all, they strongly discouraged foreign tourists from visiting at the moment. They are still operating boats (quite expesive – 6-7,000php for 3 day trips) for Filipinos though. If boat operators that make money from tourism are encouraging foreign guests to stay away, it’s probably for a reason. To the foreign tourists, is it really worth putting yourself in danger or the other people with you as well? I guess that the terrorists in the area will target foreign travelers specifically in the area. Just in the past year there was a foreign couple killed on a boat down there, along with a Filipino woman and her child according to what I was told. I’m quite sure they wouldn’t just be making that up. They didn’t say I couldn’t go, but just strongly advised against it. As a foreign tourist, of course you shouldn’t put yourself in a potentially dangerous situation along with putting any Filipinos you would be with in dangers as well. Hopefully one day things will get better down there! I see. Thanks for this info! We were not aware of the news abt the foreign couple. 🙂 When we went tho I did mention (in another post) that I do not think Balabac is stable yet, hopefully it will be in the coming years. Not a problem. And like you say, hopefully things get better in the future there! I would love to see it for myself one day. di kami natuloy ng husband ko last year sa balabac due to time and money constraints but hopefully next month at nakabooked na kami. kaso ang mahal ng singil sa min nun nakausap ko. 3nights tig P10k each kami, island hopping lang un and food. kung 7k each kaya pa sa budge. but 10k each mukhang hindi na. sana meron pa akong mahanap na mas cheaper sa 10k at makasabay na mga grp. we will arrive puerto on march 17 and 26 is our flight back. Hi Judy, sinong kausap niyo? Try contacting Kuya Boboy and Ate Lorna. My friends are going there also this summer, maayos naman yung quote sa kanila. Hi po. I am planning to visit Balabac at baka aku lang mag-isa. I only want to visit Candaraman at Punta Sebaring. Side trip lang sa Candaraman and I’ll spend 2 nights sa Punta Sebaring. Do you have any idea how much it would cost me for the boat? nku mam mgkaiba tyo ng date march 10-13 po kmi ng sister q.. sayang namn..
hello anne…kmsta ang trip nyo last 10-13? mjo disappointed kmi d sun package n nkuha nmin..then n delayed p un flight namin ng mahigit 2hrs..mjo maalon kaya ilang islands lng un npuntahn nmin.. pero no doubt mgganda tlga isla sa balabac worth to visit kahit malayo..
mam may npg inquira’an aq 7500 per person lng kay kap andong ito un number nya 09204214583..
ser anung date ng balabac visits mo? ALL the island-hopping BOAT TRIPS are CANCELED on Balabac! You can go there with public boat but NOONE will TAKE you any of the tourist DESTINATIONS since there are many discussions between island, boat owners, coast guards and tourism office of Balabac. We ve just came back from Balabac. This blog shoud be updated, before anyone effort to go there. Hi Gabor, sorry to hear abt your experience and thanks for the heads up! Yes we’ve heard about on-going talks particularly about standardization of rates. Hope they come to an agreement soon. 🙂 If you have more updates, feel free to comment or message us so we can add it to the post. si fidel bago kong kausap…he gave me a much lower price. Thanks for the tips! I’m going to Balabac in April! Did you have problems sa source ng drinking water in Balabac? Kasi parang hindi practical magdala ng maraming bottled water. hehe Thank you! I wanted to let you know that Ate Bebeth, (Balabac assistant tourism officer: 0949 424 1605) no longer works with the tourism office. Would anyone by chance know a different contact number to the tourism office there? Hi Bryan, thanks for the update! I’ll go ask my friends if they have a contact number. 🙂 Please do inform us here if you get the new contact person also. You can see my new response I made about my trip. Right now, I think it’s okay for Filipino tourists to visit but it was highly recommended that, I as a foreign tourist, didn’t visit due to concerns for the safety of foreign tourists in the area currently. Hi, I can’t seem to find the contact number of White Heaven Lodge, do you have it? Thanks! We didn’t get the number. It’s just walking distance from where the van will drop you off. Hello Ms. Kath! If Sebaring Island lang pupuntahan namin then balikan lang agad, sa tingin mo po how much will it cost per head? Thank you. Hello Ms Kath.. fellow traveler here, enlighten me please, you don’t need to camp on those islands you mentioned,? on your day 2-4 you stay in balabac and do the boating every day from thereon? Yep. At the end of the day, we’d go back to the inn in mainland Balabac. I think it’s possible to camp in some of the islands but ask your boatmen to be sure. Hi! My friend and I are planning to visit Balabac this March. 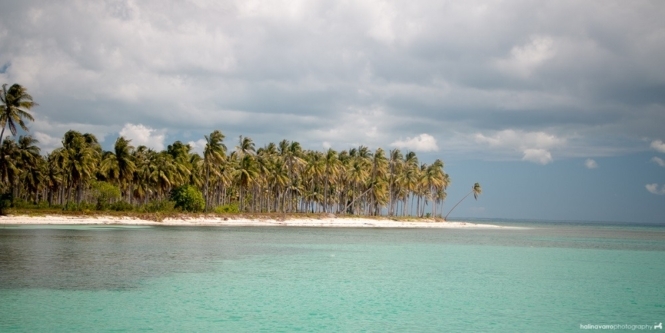 More specifically, Onok Island is on the top of our list. However we were astounded to find out that they now charge 5000 pesos per head (entrance fee and meals included) just to visit this island. And that’s on top of the usual rate of 2000 per person per day Island hopping (3 islands per day). We tried to call diff boat operators and all have the same rates. Umm do you think it’s worth the price to still visit onok? Waaa? Who are you referring to, exactly? Last time we were there, there was no entrance fee to Onuk Island. It’s a private property of the mayor and he used to just let visitors see the island. Did the mayor impose the new rate? I just got an update and included it in the guide. Yes, the rate is now P5000 per head for a day tour in Onuk Island including lunch. Really pricey. I think I’ll skip on that. It’s not a 5-star hotel. But still depends on you. Thanks for this detailed post. I just bookmarked this page for our future trip. Quick question though: how the network coverage? Is there at least 3G? hub and i are planning (well, im the one planning actually.he simply tags along 🙂 ) to go to balabac before end of january(20-24) from our northern palawan trip. 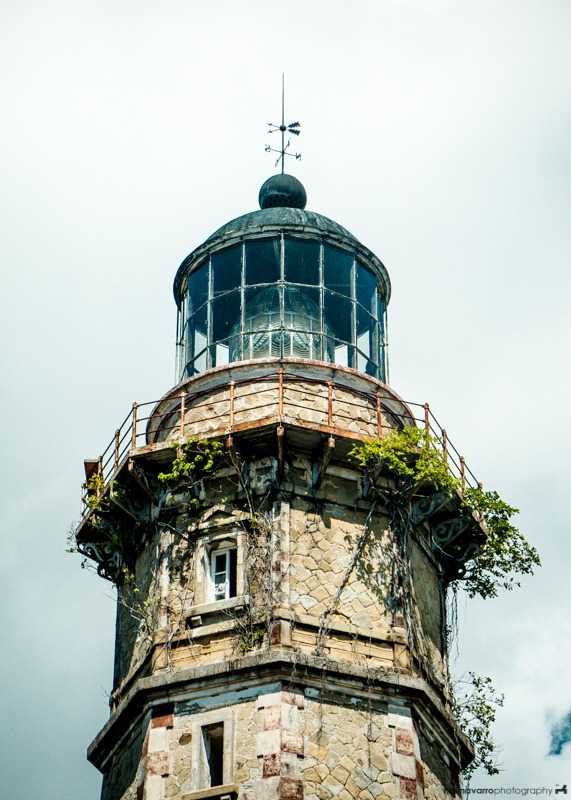 considering the cost to get there and get back to puerto, kailangang magtipid…i really hope we may makasabay kami para mas mraming maka share sa island hopping. thank you so much for all the infos. they are a huge help. If you’re on a budget I suggest just limiting your island hopping to the nearby islands – Onuk, Candaraman and Siksikan. It will cost you about P1500. Punta Sebaring is 3 hours away from mainland Balabac, for an additional P500. Thank you for sharing your Balabac experience. Would explore on November and cross fingers for good weather. I will travel novermeber 18-28th to Palawan. I plan to fly into Manila and then el Nido as the flight is one hour ish. Stay there for 3-4 days to island hop. From there fly back to Manila and then fly into Puerto princess and see if for a day if that. Then head to a tour to hit balabac island and island hope there to onuk and candarman. Is this enough time is there anything you can suggest. I may do a 5 day info you provided. Do I need the mayors signature to visit onuk? Thanks! Hi Zaida, you can ask your boatmen to assist you in asking the mayor’s permission personally or you can send an email at least a month before. Contact the tourism office for more info on this. Hi! May I know if the rates of the tour are per boat or per person? There might be just two of us so I wanna know if it is still affordable. Hi She. The rate is per boat. If you read the costing I clearly stated that with a rate of P8000, 2 people will have to spend P4000 each. 🙂 I hope that clears up any confusion. hi kat.. is it possible to tour Balabac with my 3yrs old? and balak din kc namin mag el nido eh doable ba ang balabac and el nido for 8days? Hi, I guess it’s okay if you’ll only island hop in nearby islands like Onuk and Candaraman and if you’ll manage to get a boat with proper roofing. Some islands are too distant kase. For example, from mainland it will take you 3 hours to reach Balabac island where the lighthouse is located. Balabac and El Nido is doable in 8 days, but take note that El Nido and Balabac are on opposite sides of Palawan. It’s separated by at least 10 hours of land travel and another 4 hours of sea travel. Wow! Thanks for dropping by my space recently! It was really hard to look for good references for a DIY sa Balabac! Kinilig ako because yours gave a great deal of info! Now I can start planning… 🙂 thanks again! Oh, thanks for dropping by as well and you’re welcome! Yeah… you will need to open the page to leave a comment. I’ll need to look for the settings in WP Reader to allow comments. Thank you So much for this! I just want to ask kung dun na kayo sa balabac kumuha ng island hopping tour? Me and my boyfriend are planning to go there this August 2016 and we would like to backpack lang 🙂 Joiners are welcome! Hi Isla! I already contacted Kuya Boboy weeks before our actual travel date. It’s okay if you’ll go there without an arranged tour yet. Just go directly to the tourism office for assistance. I have friends who went in Balabac without contacts and they encountered no problem naman. Oh my! This made me envy your trip! I always wanted to go to Palawan. I will take note of this one for out future travel even if I do not know what year that would be. Lol. Hi, my cousin and I are planning to go on an April 16-17, 2016 trip to Balabac. Anyone interested to do a DIY with us to lessen the cost of fixed expenses like island hopping? The more, the lesser. I’ve been wanting to go to Palawan. I find Boracay too crowded. I was not aware about Balabac. It’s so prinstine! Thanks for this article I also had an idea how much to save up. The place really looks beautiful!Hubby and I will be travelling to palawan this october. I hope we can include it in our itinerary. Thank you for breaking down the expenses it will be really helpful as we always go on a budgeted trip! I really want to visit the unspoiled beauty of Palawan .. this place has always been on my bucket list and your pictures make me so eager to push my plans this year! Thanks for sharing your unbiased review on this place! I have been hearing my grandpa mention this place (Balabac) for so long since I was a kid. I didn’t know how beautiful this place was! I am going to Palawan this summer vacation and I am definitely am wanting to include this as my side trip with my family! You’re welcome namesake! 🙂 I’ll consider other places though if you’re with a kid, since the boat rides during island hopping take hours and the motorized boats often used don’t have any overhead tarp to protect the boat passengers from the sun. Last time, Air Asia had again their Piso Sale, I actually want to book for Palawan however, the fairs are too expensive so I decided to book for Kalibo instead. Reading this made me again think of booking a Palawan flight. I like it that you provided itinerary for this. I am a DIY traveller also. Uhum. Thanks to this blog entry as it will be a great addition to the very little material in the Internet about Balabac as you have mentioned. I’d never thought there are other beautiful Island in Palawan. All I know is, Coron, El Nido and Puerto Prinsesa. Your post is very detailed. I will bookmark this post because I’m planning for me and my husband to have a trip on our wedding anniversary. Balabac looks breathtaking and a must see. I can’t believe I have never heard of Balabac, it looks beautiful. It’s great to know one can visit paradise not needing to spend a fortune. But how sad to know that it is difficult to access info on the place on the Internet and that they have a garbage problem! I hope the local authorities can address these ASAP! I hope your post reaches them! Wah! Ang ganda! Will probably visit after the election season. Mahirap na 🙂 Thanks for sharing Kat! Thanks for dropping by, Milet! Yep, better wait until election season is over. 🙂 I hope the newly elected officials do something to boost the tourism in Balabac as well as guarantee safety for tourists. Btw, you mentioned you werent able to go to Onuk? May i know why? Were you able to get the permit to visit the island? This is our main target location kasi so i would like to know if we need to get the permit before arrival sa palawan para sure and kung sino best contact person. Hi Awesome! You have to personally ask current Mayor Shuaib because it is his private property. So it depends if papayag siya. There are times he even lets visitors use his boat to go to Onuk Island. Meron rin kasing security issue ngayon since election season (e.g., risk of kidnappings in the area etc.). This is what we were told by the asst. tourism officer. Kelangan talaga more awareness and discipline regarding garbage disposal. Palaging yan ang problema sa local tourism e.